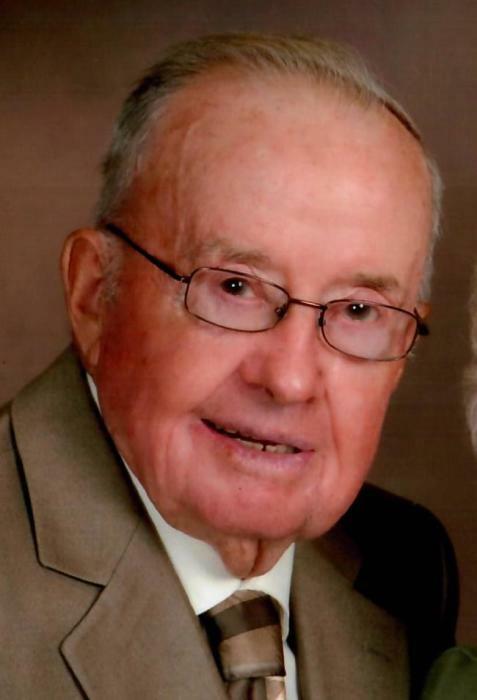 Stanley “Smiley” E. Miller, age 96 of New London, formerly of Clintonville, passed away Tuesday, February 5, 2019 at his home surrounded by his family. Stanley “Smiley” Emil Miller was born on January 19, 1923 in the Town of Union, son of Emil & Irma (Henschel) Miller. “Smiley,” as he was known, earned his nickname in school, because of his trademark, contagious smile. He later graduated from Marion High School in 1942. He was united in marriage to Elaine J. Kostrzak at Manawa Methodist Church on June 23, 1951; the couple was blessed with three children. Stanley farmed in the Town of Union; in addition to the farm, he also started his own farm equipment and snowmobile business known as Miller Supply. He was an active member of St. Martin Lutheran Church, Clintonville and served on the Waupaca County Board. Stanley loved to spend time engaging in all kinds of sporting activities including: fishing, hunting, and baseball. He owned and managed the Symco Bombers Baseball Team for over 35 years, and was the commissioner of the BABA Association for many years. Continuing his passion for baseball, he also managed Clintonville & Manawa youth sports. He will be remembered as a hard-working man with an inspirational will that was hard to stop once he set his mind to getting something done. Stanley was preceded in death by his parents; his brothers, Ken (Betty) Miller, Roger (Janice) Miller, and Lloyd (Elaine) Miller; brothers-in-law, Gerald Kratzke & Ronald Kostrzak; sisters-in-law, Donna Stutleen & Eunice (Wesley) Ferg. Funeral services will be held 12 noon, Saturday, February 9, 2019 at St. Martin Lutheran Church, Clintonville, with the Rev. Christian Burg & the Rev. Vilas Mazemke officiating. Interment will take place at Union Cemetery, Symco in the springtime. Friends may call on Saturday at the church from 9 AM until the time of the service. In lieu of flowers, memorials in Stanley’s name are preferred to be directed to the family for a memorial to be established at a later date. The family also wishes to thank caregivers Mary, Karen, & Cathy, as well as SouthernCare Hospice for all their love and support. The Eberhardt-Stevenson Funeral Home & Crematory, Clintonville is assisting his family.